A NikonRumors reader spotted a new, not yet announced Yongnuo YN 85mm f/1.8 lens (see picture above, thanks Arkadii). 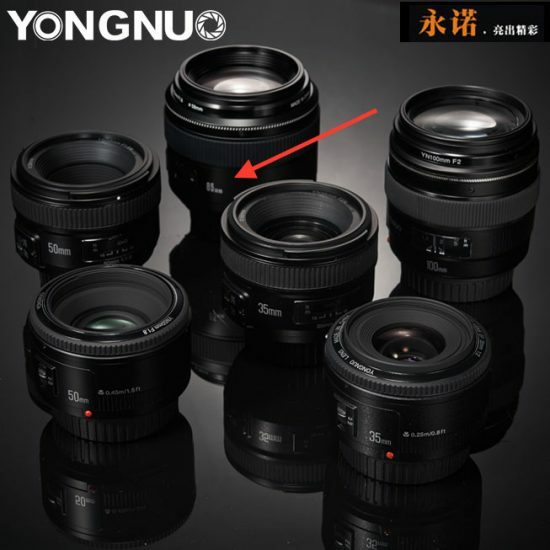 This will be the fourth Yongnuo full frame DSLR lens after the YN 50mm f/1.8, YN 35mm f/2 and YN 100mm f/2. As with all previous models, the new YN 85mm lens will most likely be based on the Canon EF 85mm f/1.8 USM lens. Stay tuned for additional information.